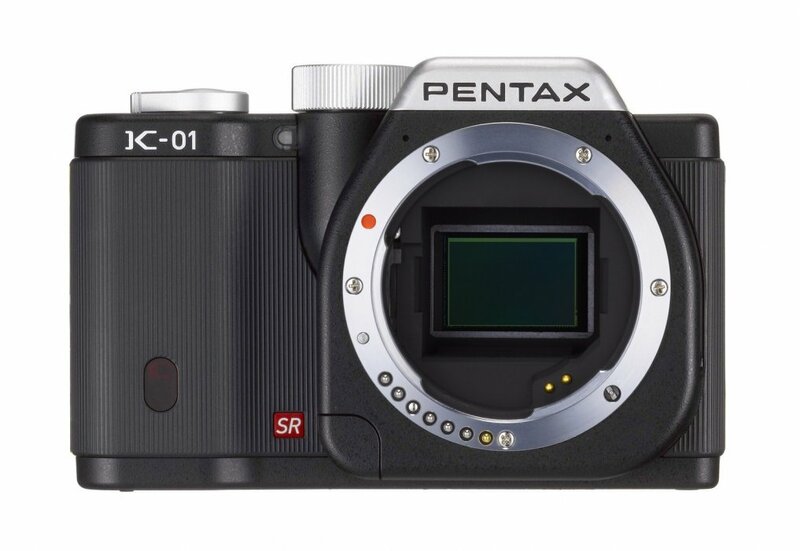 The Pentax K-01 K-mount mirrorless camera has just been publicly announced, featuring full backwards compatibility with all Pentax K-mount lenses and a fantastic pricetag. Availability: March 15, 2012. Price: launching at $749. 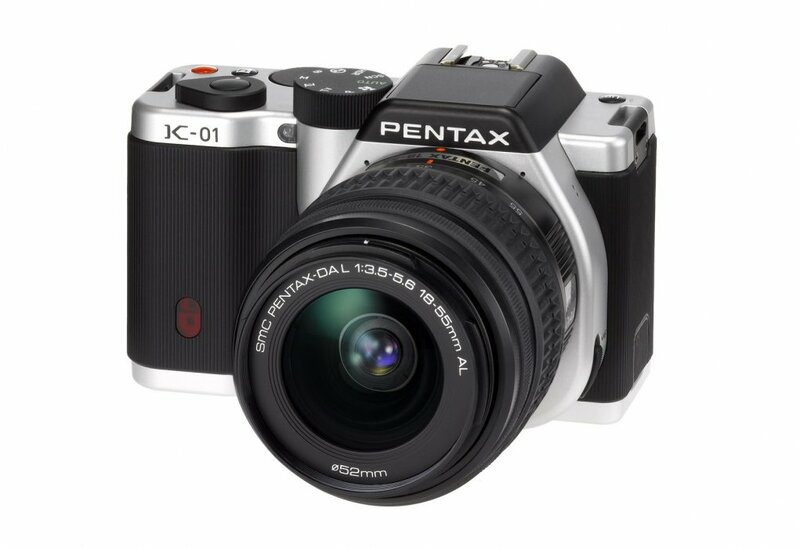 Read our overview of the Pentax K-01. No nonsense, just the facts and our initial impressions. $749 - for the body alone or with the XS lens? "In the US, the body-only MSRP will be $749, and the 40mm kit $899." It's biggest plus in my book is that " it employs the Pentax K-mount, it not only supports all current DSLR Pentax lenses, but also all legacy and manual lenses - over 200 of them, if you only count Pentax glass. Open up the floor to third parties and we're looking at a camera that works with thousands of lenses, including M42 mount lenses via the M42 adapter, and medium format lenses via a 645 or 6x7 adapter." But where is the EVF? I cannot believe it, they look like they thought about this camera before they made it, but if they did that ,where is the EVF!!! I agree with photofreek and Yakim. Why not an Electric View Finder? Is there even an option to purchase it separately? No. Not listed as an accessory and the body lacks the additional port. The hot shoe is 100% identical to the K-5 one. The best option is to hope for a hot-shoe mountable EVF connceted via HDMI. But those are all very large and expensive so far. A hoodman-kind of loupe would be the next best option. But the designer missed the chance to make rails to mount one in an easy way. The camera does not feature and electronic viewfinder, but could support an optical viewfinder in the flash hot shoe. The cameras screen is used for live view and focusing appeared reasonably quick, although not as quick as the quickest mirrorless cameras available. Thanks for this very excellent link, Ogl! What? OVF on a MILC? And how do you compensate for different FLs? They do it on rangefinders right now (or for the past gazillion years). A lot of the lenses have 'additional' lenses for the OVF. 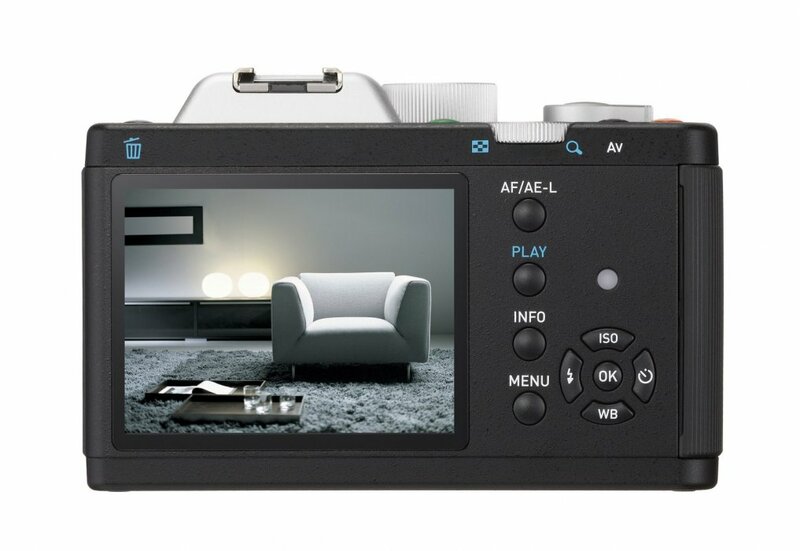 I like the design and all, but isn't this like a k-r without the viewfinder? also, no filter ring on the new lens?! it got focus peaking. and you can put a hoodman loupe as Adam suggested. so what's the issue? Thanks for reminding me. Indeed I forgot. So, Pentax, do you hear?